The right software-defined storage can help you maximize the benefits of your software-defined data center and accelerate your transition to a more efficient, consumption-based IT cost model. Find out how to determine which storage is right for you with the webcast “Meeting Storage Demands for the Explosion in Unstructured Data,” moderated by IDG’s Aaron Goldberg. Register now to learn how to pick the storage solution that is right for you, now and long into the future. 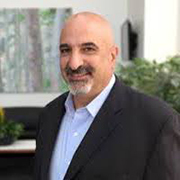 Aaron Goldberg is a renowned industry and marketing analyst in the information technology industry, spending more than 30 years working with senior executive management at IT vendors and many IT professionals as well. He is well known for his succinct and realistic style, and his ability to distill the key issues for end customers, marketers, and IT staff. He also runs many face-to-face CIO Roundtables, and events for Senior IT Professionals each year in topics such as Servers, Virtualization, Security, Cloud, Printing/Output, Enterprise Software, Data Center Operations, Business Intelligence, and others. 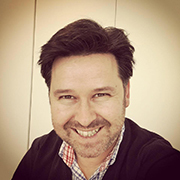 Fernando Tavares is a Senior Solutions Marketing Manager for Veritas Software Defined Storage Solutions including Veritas Access. He has over 15 years of experience in the enterprise data center space. A subject matter expert in software defined storage and business continuity, Fernando holds a bachelor’s degree in economics and marketing. Please fill the below form to view our on-demand webinar on Meeting Your Data Storage Demands.